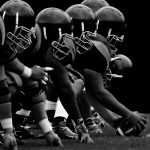 College sports teams are watching what happens next, now that former football players suffering brain damage have begun suing the NCAA (National Collegiate Athletic Association) for not warning players about the associated risks of concussions that appear to be inherent in the sport. Legal experts believe new cases will be setting a precedent on the responsibility the Association holds and any potential change that might be required for college football players. While many concussion-related cases have been filed against the Association before, all of them had been dismissed, settled out of court, or put on hold while working out legal disputes. Finally, decades after the first cases were filed, there would be a case in court to show evidence to a jury that might find in in the plaintiff’s favor if they determined that the Association was at fault for the death of her husband Greg; whom played defensive tackle and linebacker positions for the University of Texas over five decades ago. Ploetz graduated from college in 1975 with a Master of Fine Arts Degree and went on to become a high school and college art teacher. However, his condition became so severe that he stopped teaching a decade ago and passed away from the long-term effects of his illness on March 11, 2015, at 66 years old. Just three days into the trial, both Hardin-Ploetz and the NCAA reached a settlement. However, the terms of the agreement have not been disclosed. The Association’s Chief Legal Officer Donald Remy released a statement saying “The settlement gives all parties the opportunity to resolve the case outside of a lengthy trial. The NCAA does not admit liability as part of the settlement. We will continue to defend the Association vigorously in all jurisdictions where similar unwarranted individual cases are pursued. It is our hope that other plaintiffs’ lawyers recognize that this is one settlement in one case.”1 Jurors hearing the case were told that afternoon by a Texas district judge Ken Molberg that the plaintiff and defendant had reached an agreement to settle. The agreement was reached after Dr. Robert Cantu, a neurologist from Boston University testified to the jury that there is a correlation between playing football and acquiring degenerative brain disorders including CTE (chronic traumatic encephalopathy), a devastating neurodegenerative disease. After Ploetz’s death, Boston University researchers studied his brain which exhibited signs of advanced CTE. Deb said her husband Greg first noticed he was having physical difficulties in 2009 when he was unable to remember what button to push on his new cell phone to make a call. He then began struggling to work with this computer. After Deb would show him how to send an email and would turn and walk away, Greg would ask her to come back because he could not remember what she had just taught him. Six years before his he passed away, doctors diagnosed Greg with dementia even though there was no medical history of the disease in Greg’s family. Medical experts and researchers have acknowledged that the violent activity involved in playing football can lead to significant brain damage or mild to severe concussions after being hit in the head thousands of times in a single season. Even the NCAA has acknowledged that playing football generates one of the highest rates of diagnosed concussions of all sports activities played on college campuses. Only men and women’s ice hockey and men’s wrestling produce more concussions per student. The NCAA has managed collegiate football for over a century, which has remained the most popular college sport in the U.S., generating billions of dollars in revenue each year for the National Collegiate Athletic Association and colleges that participate in sports. The Association oversees hundreds of athletic conferences and creates rules and regulations governing the game, practice time, and branding. However, the National Collegiate Athletic Association’s stated mission is based on “safeguarding the well-being” of athletes. The Hardin-Ploetz lawsuit is certainly not the first of its kind to generate national interest. Other plaintiffs have held the Association legally accountable. In 2014, the NCAA agreed to a $75 million class action lawsuit settlement that was originally filed in 2011 by Adrian Arrington, a college football player from Eastern Illinois University. Many other athletes made similar claims that they also suffered injuries by playing the sport at a college level. The settlement agreement will generate funds that will support brain injury screening and medical research concerning CTE and other degenerative neurological diseases. Since the settlement, at least 100 other former football players have filed lawsuits against the Association, and other schools and conferences. Legal experts believe many of these cases will be consolidated into the next class action suit to hold those responsible financially accountable. In an article published in the Washington Post in 1905 revealed a similar crisis is happening in college football. The article states that injuries inflicted during football games between 1900 and 1905 led to the death of dozens of boys and young men in the United States. Many of these deaths were believed to have been caused by players following the rules of college football that encourage the men to participate in brutal scrimmages. As a result, Northwestern, Duke, and Columbia suspended their college football programs. A medical handbook published by the NCAA in 1933 claimed that “there is definitely a condition described as ‘punch drunk’ and often recurrent concussion cases and football and boxing demonstrate this.” The handbook was written by three physicians who noted obvious brain trauma occurs in the game and stated that brain damage is often “overlooked.” An internal survey conducted at the NCAA in 2010 involving campus athletic trainers revealed that less than 50% of the colleges did not require their athletes who had experienced a concussion to see a doctor. Oddly, it took nearly four decades for the NCAA to adjust many of the serious concerns involving brain injuries associated with football and require every player to wear a helmet. The Association took another 55 years to decide that the game must be halted immediately if the player caring the ball loses their helmet while in play. Exactly one century after the NCAA was launched, the Association instituted guidelines that required colleges to formulate a concussion management plan that was expanded by partnering with the Department of defense to conduct a concussion study. The NCAA Chief Medical Officer Brian Hainline stated that “since its inception, the NCAA has been committed to student-athlete health and safety. Our commitment… is as strong as it has ever been.” In 2014, the Association’s Medical Officer said that there is “very little published science to guide” the organization’s concussion policies. However, plaintiffs filing lawsuits against the organization see things differently. Many of the injured victims and surviving family members believe that the organization disregarded decades of the obvious warning signs concerning brain concussions and injuries caused by playing football. Many of these plaintiffs believe that the organization does not enforce or mandate many safety rules that made sense at avoiding concussions and other devastating brain injuries. More than 5,000 satisfied clients from across the country. Service is our business. You can talk to an attorney anytime on the phone or at a location that is convenient for you. More than $50 million recovered for people like you over the past 5 years. Fully committed to your case, our office handles personal injury cases exclusively. Recognized in the legal community by judges and peers as tenacious and ethical litigators. No fee guarantee. We never charge a fee unless there is a recovery for you. Pay nothing out of your pocket. What is the most dangerous time of day to be on the roads? What Leads to the Development of Decubitus Ulcer?